We talk about the distinction between circular and linear polarizers frequently but rarely have an image as a visual aid. This image has three rows and two columns each showing two polarizers. The left filter is a circular polarizer. The right filter is a linear polarizer. The left column is viewed from the rear (camera) side. The right column is viewed from the front side. The top row and middle row are shot against a polarized light source. The bottom row is shot against a mirror. In the top row the polarizers are rotated for maximum effect. 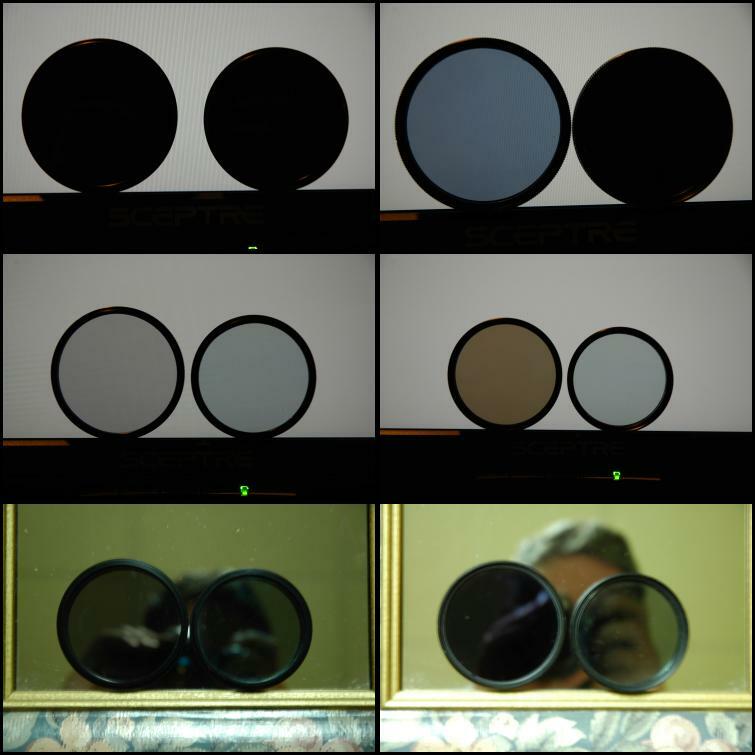 In the middle row the polarizers are rotated for minimum effect. In the bottom row the rotation is irrelevant. The top row and middle row left column are the "real world" use cases. The bottom row right column is the easiest identification case.